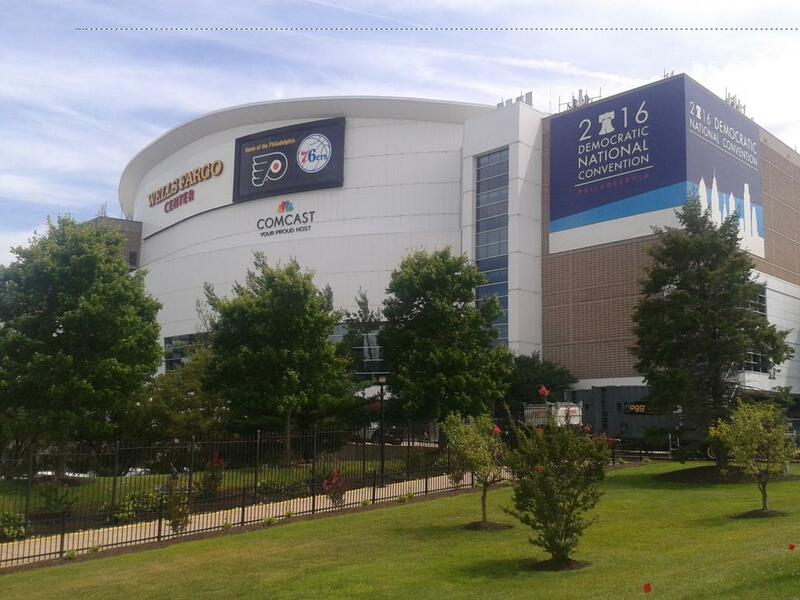 Philadelphia, Pennsylvania: Thousands of people from across the United States and beyond are attending the Democratic National Convention, including several officials from New Jersey. On Wednesday, speakers included astronaut Mark Kelly, who was raised in West Orange, Democratic Vice Presidential Nominee Tim Kaine, Vice President Joe Biden, and President Barack Obama. Democratic presidential nominee Hillary Clinton came on stage at the end of President Obama's speech. The New Jersey Delegation seats are just above the convention floor at the Wells Fargo Center in South Philadelphia. New Jersey State Senate President Steve Sweeney spoke with Essex County Place on the convention floor regarding the convention and New Jersey politics, and New Jersey State Senator Ray Lesniak spoke with Essex County Place following the 'Animal Advocacy Through Education' panel that he participated in at a Philadelphia library branch on Tuesday. Sen. Lesniak said that "the first day was a knockout". "I thought Cory Booker was great...and then Michelle Obama came on and knocked it out of the park", Lesniak commented. "If she were running for president, she would win overwhelmingly", he added. Sen. Booker spoke at the DNC on Monday evening. "I think it (the convention) started off a little rocky but it's actually really blending together very well", said Sen. Sweeney, who added that "Senator Booker's done an amazing job with his speech bringing people together. I think that was the point it started to heal." Regarding efforts to unify the Democratic Party between supporters of Bernie Sanders and Hillary Clinton, Sen. Sweeney said "I think John Wisniewski...(the former New Jersey campaign chair for Sanders)...is working very hard to bring everyone together", adding that "primaries have consequences and people's feelings get hurt when you have them, but if you win, you win; you lose, you've got to get on board with the winner; you can't walk away". "In New Jersey, we're united and Hillary Clinton will carry New Jersey by over 20% of the vote", said Sen. Lesniak. "We have to get that message out nationwide". There was protests Tuesday and Wednesday in Center City Philadelphia by Bernie Sanders supporters. Both Sen. Lesniak and Sen. Sweeney are considered possible candidates for governor of New Jersey in 2017. Sen. Sweeney said that "I think you've got a handful of candidates who are going to run and we'll see what happens", while Sen. Lesniak said that "if I enter the race, I expect to win", adding that "the more support I get, the more likely that I'll run for governor". Today is the final day of the 2016 Democratic National Convention, and Hillary Clinton will speak tonight to accept the party's nomination. You can watch today's events live from Essex County Place.